Animal Health Management Certificate now available! Dr. Allen Featherstone shares with Eric Atkinson on K-State Research and Extension's Agriculture Today about the Leading through Change event. 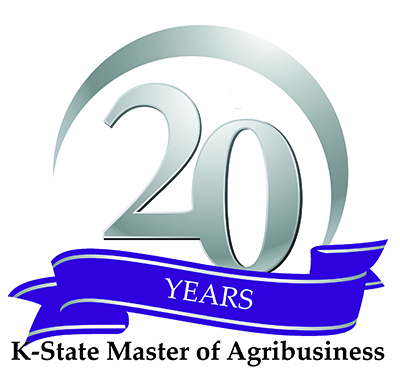 ICYMI: Careers in Finance Webinar - K-State Master of Agribusiness Alumni Kelley Ayres, Chairman/President/CEO of the First Bank of Minden, and Sarah Lukach, Commercial Credit Analyst at 1st Farm Credit, share about the challenges and opportunities in finance today and how the MAB program equipped them to lead for the future.